Did you know sellers are getting up to 98% of their asking prices on house sales? Until you have to get your ducks in a row for tax season. Handing over a chunk of your house proceeds to The (tax) Man can hurt. Especially if you are unprepared. Fortunately, there are a number of ways you can minimize or avoid capital gains tax on real estate. So stop stressing about tax time, and read on. Because we are going to reveal 8 pro tips that you can use to slash that tax liability. The first thing to do when looking to minimize capital gains tax on real estate is to check for exemptions. $250 000 capital gains tax exemption: If you are unmarried. $500 000 capital gains tax exemption: If you are married. There are however some requirements to these exemptions. Firstly, you have to have lived in the house for a minimum of 2 years. If you have rented out your house during the time you owned it, you still retain your exemption if you lived in it for 2 out of five years. As you can see, living on your property qualifies you for a hefty property tax exemption. The trick to taking advantage of this is to, obviously, live in your properties whenever possible. Another tactic you can employ is to sell often. If you purchase and resell a home every few years, you can (hopefully) realize a profit on each, while taking advantage of the primary residence exemption each time. Families who live in a home for a number of years are generally liable for more capital gains tax. This is because while their house may have risen in value every two years – they can only utilize the once-off exemption when they sell. O-zones are an alternative to 1031 exchange, a strategy used to defer capital gains tax. O-zones stand for Opportunity Zones. These are pieces of real estate in distressed communities. Your initial capital gains tax is postponed: If you attracted a capital gains tax on profit which you are using to invest in an O-zone, this liability will be deferred until the sale of the new O-zone investment. 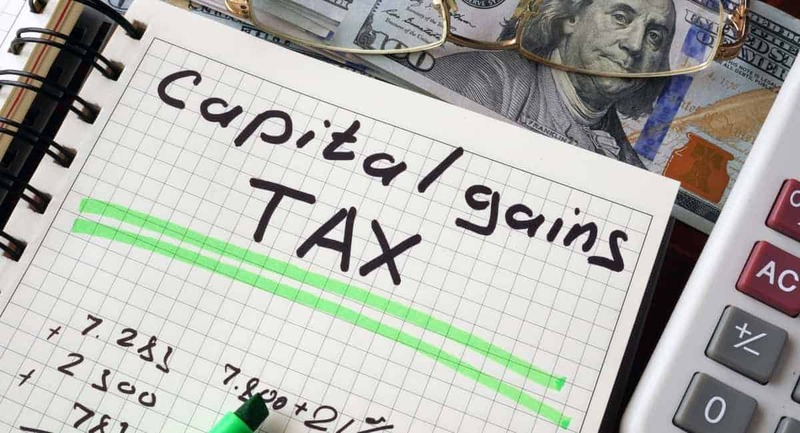 10% tax exemption on invested gains after 5 years: If you sell after 5 years, your deferred capitals gains tax from invested profit will decrease by 10%. 15% tax exemption on invested gains after 7 years: If you sell after 7 years, your deferred capitals gains tax from invested profit will decrease by 15%. 100% tax exemption on realized profit after 10 years: If you sell your O-zone investment after 10 years, you receive a 100% capital gains tax exemption on the realized profits. These incentives make investing in O-zones an attractive option for minimizing real estate tax. Another trick to minimizing capital gains tax is to time your capital gains and losses strategically. Capital losses will reduce your net capital gains for the year. So, if you know that you will be realizing a large capital gain during the year from the sale of your property, you can time a capital loss to balance this out. A smart way to create a capital loss is to sell investments you have that are down and not likely to recover. The rate of capital gains tax you are liable for is determined by your income. The higher your marginal rate is, the higher your property tax rate will be. Therefore, if you time the sale of a property for a year when your earnings are lowest, you may be able to reduce or eliminate your capital gains rate. By maximizing your deductions you can reduce your real estate tax in two significant ways. Firstly, by maximizing general tax deductions you may be able to reduce your total taxable earnings. This is key to reducing the rate at which you are taxed on capital gains. Buying a property and renting it out is a common form of real estate investing. But, if you purchase a property and rent it out, you may lose your primary residence exemption. Depending on the capital gains tax on the sale of your property, you could come short because of this. If you do want to rent out your property, make sure that you reside in it for 2 years within five years of selling it. Profit made on properties that are sold in under a year is subject to marginal tax rates. Long term capital gains tax rates come into play if the property is held for more than a year. These rates are substantially lower than marginal tax rates. So, if you want to reduce your capital gains tax on real estate sold, make sure that you hold onto it for over a year. The more profit you make on real estate investing, the more tax you may have to pay. But – there is no need to let this put you off getting a great price for your property. Because now that you know these 8 top strategies to avoid capital gains tax, you are armed and ready to take on real estate tax like a seasoned pro. If saving money on taxes is your thing, then you can also check out our guide on how to save money on taxes and in life!